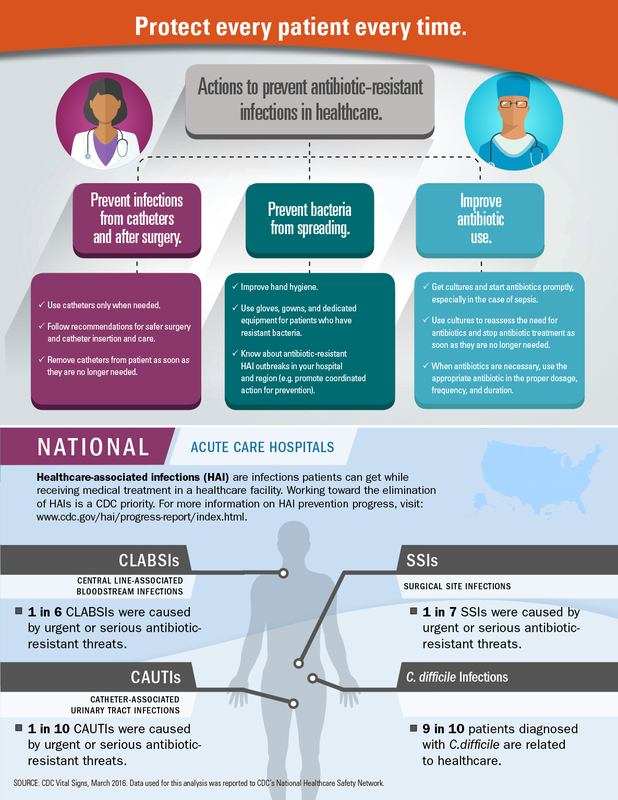 Actions to prevent antibiotic-resistant infections in healthcare. SOURCE: CDC Vital Signs, March 2016. Data used for this analysis was reported to CDC’s National Healthcare Safety Network.